It's been 30 years since the first time audiences heard the inspirational "Can you dig it?" speech. To commemorate the anniversary of the film, a brand new beat 'em up game carrying The Warriors colors will be available. The Warriors: Street Brawl is that title, and we have high hopes for it. This time, however, Rockstar won't be holding the reigns to make another Grand Theft Auto style Warriors title - even after the success of their Warriors game 4 years ago. Paramount Games is wholly responsible for the arcade title this time, and we hope they got their co-op, and Warriors right. The Warriors: Street Brawl takes us through the familiar areas of the classic gang film; Through the subway, down dark back alleys, and across the dangerous New York city streets on their way to Coney Island. Familiar gangs will be present as well, from The Lizzies, to the Baseball Furies, to the Rogues. The Warriors have to survive this 4-5 hour Arcade beat 'em up in the true classic style. Weapons in the game will stick to what would be available to a 1970's street gang. Baseball bats will be present while any uzi's are left behind, and switch-blades will be a nice commodity when fighting the good fight. 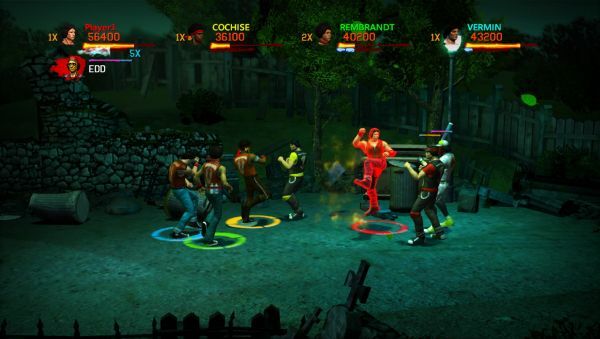 The Warriors: Street Brawl will also include 4-player drop-in/drop-out co-op, the way beat 'em ups are meant to be. Page created in 0.9269 seconds.